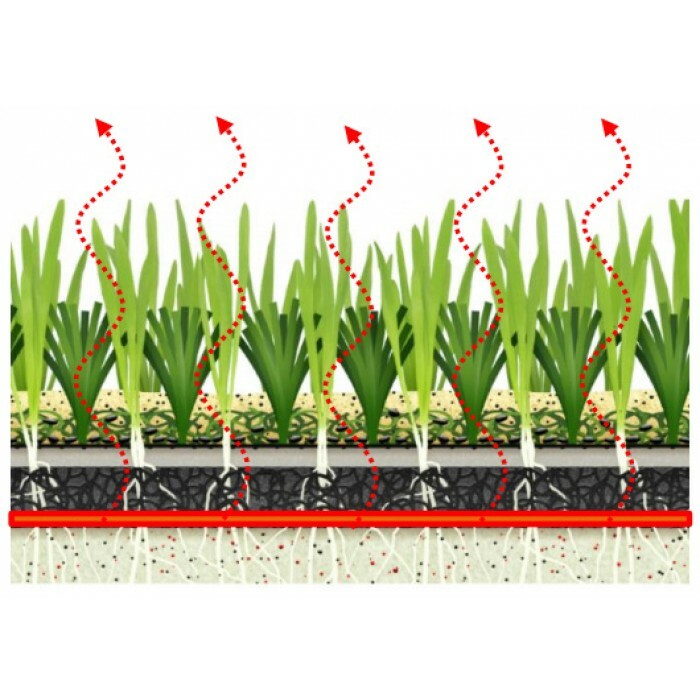 ARS Hybrid’s grass combines the best of natural grass and artificial turf, using an innovating system to ofer a unique a resilient paying surface. This is the only hybrid system that includes an elastic layer so the ground does not compact. It reduces the players’ workload during practice sessions and games, protecting them from the risk of injury. THE ADVANTAGE IS ON YOUR SIDE! More hours of playing time. By playing on a flat field, the body stays balanced. The field is safer and minimizes the risk of injury by reducing the players’ workload. The game is more precise as the ball bounces correctly on a flat and firm playing surface. Eliminates the attack of plagues from insects that generally grow on the ground. Because of having an aired field and less organic matter, it reduces the fungicidal diseases. Excellent drainage. Does not need to be repaired and the grass does not need to be changed.